I am pretty sure that almost everyone would agree with me that stretch marks aren’t the sexiest thing a person can wear. While there are many factors that can cause them, pregnancy is almost a certain one and for a good reason too. During pregnancy, a woman can put on anywhere from 10 to 20 kilos in nine short months, causing fast stretching of the skin in all areas. 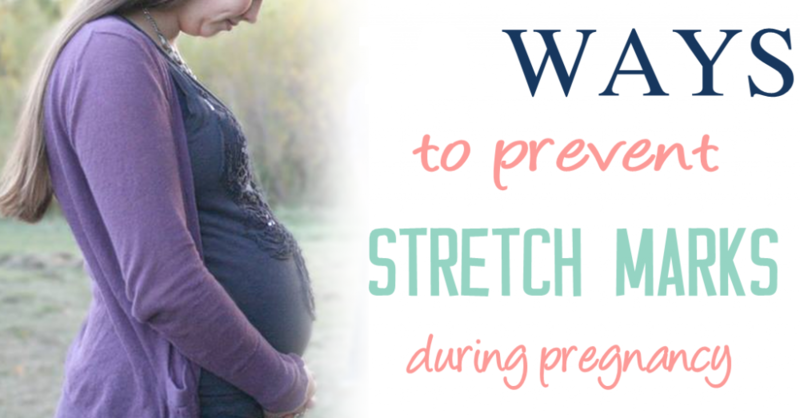 If you are pregnant, you might be wondering what you can do to minimize and possibly prevent stretch marks. While many say that they can’t be prevented, I believe there are things you can do to help prevent them. After two pregnancies, I’m happy to see that I don’t have even one of these fearful marks on my belly. Maybe I’m just lucky or have won the genetic lottery, or maybe it is because I relied on a few tricks that helped me prevent them. While these secrets alone may not guarantee you won’t get stretch marks, they will give you a better chance at preventing them. Well, let’s dive in. Moisturizing is one of the most effective ways to avoid stretch marks. I tried a bunch of creams and oils and I definitely prefer using oils over creams since creams take really long time for my skin to absorb. At the beginning of my second trimester, I ordered an oil for stretch marks during pregnancy. I loved it from the moment I tried it. The oil has a nourishing formula that supports skin elasticity and that repairs and restores the appearance and vitality of the skin. I can say that the oil for stretch marks during pregnancy that I ordered was my best friend that helped me maintain my skin’s well-being. I applied the oil twice a day, in the morning and at night. Water is essential for preventing skin dehydration and keeping it elastic. During pregnancy, you should drink about 8 glasses of water a day to improve your skin’s elasticity – this will allow your belly to grow without causing stretch marks. This may sound simple for you, but some people forget to stay hydrated and can go hours without drinking any sort of liquid. There are some signs of dehydration that you can use as a reminder that it is time for a glass of water such as dry throat, dry lips, headaches, and fatigue. Keeping a healthy lifestyle during pregnancy also helps decrease the chances of getting stretch marks. Eating healthy foods also increases the skin’s elasticity. Give preference to foods high in vitamin A, C and E – nuts, avocados, and carrots were constantly included in my diet plan. While there’s no guarantee these tips will prevent you from getting a single stretch mark, they might be worth a try! If they don’t help you prevent stretch marks they will sure help the process of growing a healthy baby!